I don’t know how many times I can extol the virtues of food from scratch, but since part of this blog is to do just that, this post will be no exception. We really do try to limit how much processed foods we eat, making sure most, if not all, of the ingredients are both pronounceable and identifiable. Why someone would choose to make a cake from a box (with added goodies like distilled monoglycerides, sodium stearoyl lactylate, not to mention hydrogenated oils), when a tastier cake can be made in roughly the same amount of time with a handful of ingredients? But, I don’t want to get all preachy about this. I just don’t buy the argument of convenience. One makes time for things that are important. 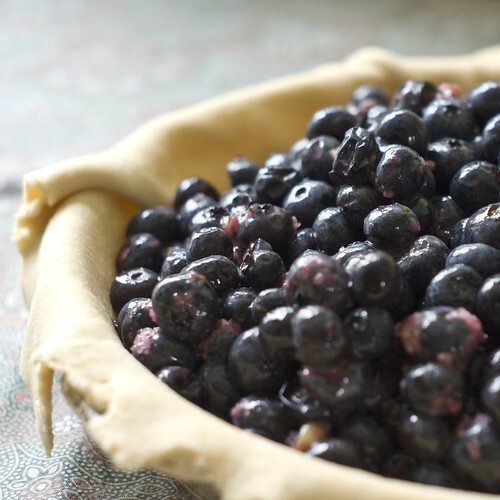 We’re talking five ingredients (six if you count water) in this recipe, including flour, butter, blueberries, the juice and zest from a couple of meyer lemons, and a sprinkling of corn starch. The blueberries (frozen from last summer) are so sweet that no sugar was needed. 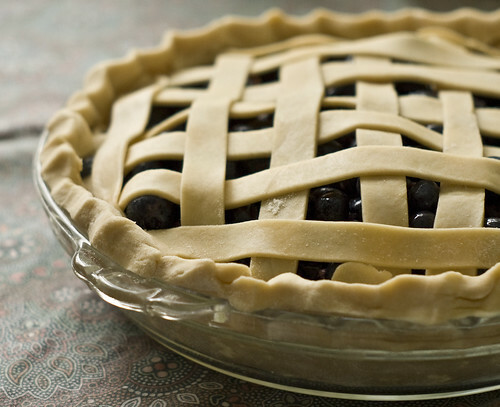 Yes, it’s pie, but it’s mostly a delicious and healthy pile of blueberries. 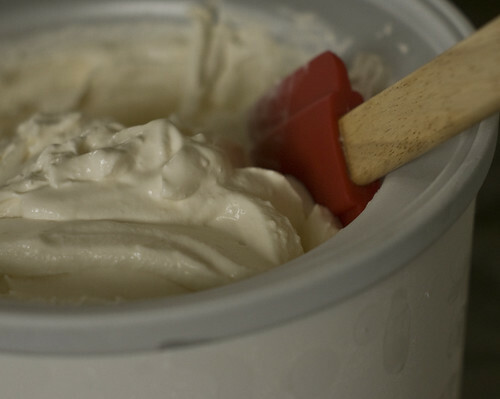 But, this again was made from cream (don’t ask how much), half and half, a bit of sugar and a splash of vanilla. Easy-peasy and so delicious. And, that’s exactly what I’m trying to say. So, don’t let Betty Crocker talk you into buying that box!